As you search through travel guides for Japan, you find a lot of information about destinations and experiences, but probably not a concrete idea of where to go, for how long and in what order. Most every traveler who spends 2 weeks in Japan starts in Tokyo, and goes to Kyoto from there, but then what? Over the next several paragraphs, I’ll not only talk you through the highlights of Japan’s most essential cities and regions—in order—but give my recommendations on how long to spend in each. Without further ado, here’s the best way to spend two weeks in Japan. Need help planning your two weeks in Japan? Hire us to plan your custom Japan trip! The question of how long to be spend in Tokyo is a contentious one, so allow me to be blunt: Three days in Tokyo should be your maximum if you’ve only got two weeks in Japan, though how many days in Tokyo you should spend becomes a more open question if you have three weeks in Japan or longer. 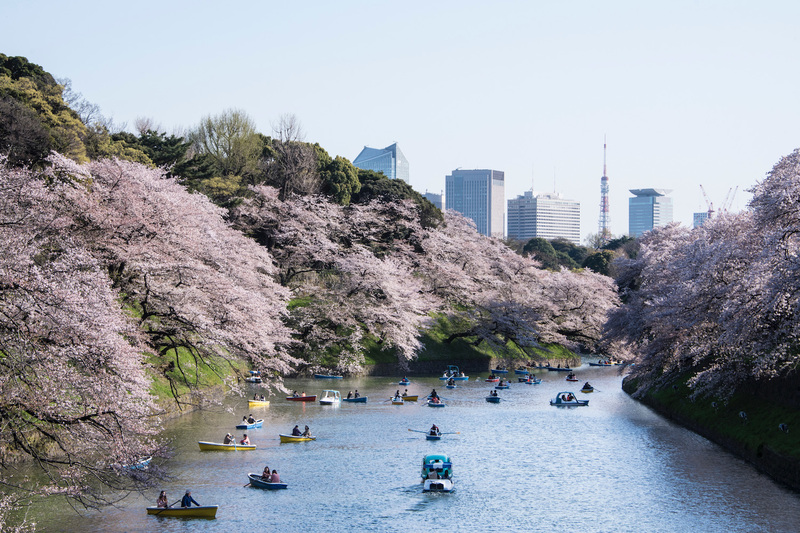 From day-time attractions like Senso-ji Temple and Tsukiji Fish Market, to nights spend in the neon-washed districts of Shinjuku, Shibuya and Akihabara, Tokyo becomes a surprisingly manageable destination when you break it down. Even more specifically, I’d recommend spending two days in Tokyo proper, then taking a day trip to either Nikko or Kamakura, but not both. In general, I’d say Kamakura boasts a greater variety of attractions, while Nikko’s mountain scenery is more impressive. You’ll need a minimum of two full days in Kyoto, regardless of whether you decide to explore the rest of Japan’s Kansai region during your two weeks Japan trip or not. A morning each along the Philosopher’s Path and under the gates of Fushimi Inari Shrine; afternoons traipsing through Arashiyama Bamboo Forest and through the grounds of Nijo Castle; evenings watching sunset at Kiyomizu-dera Temple and geisha hunting in Gion before retreating to your Kyoto ryokan for a well-deserved rest. 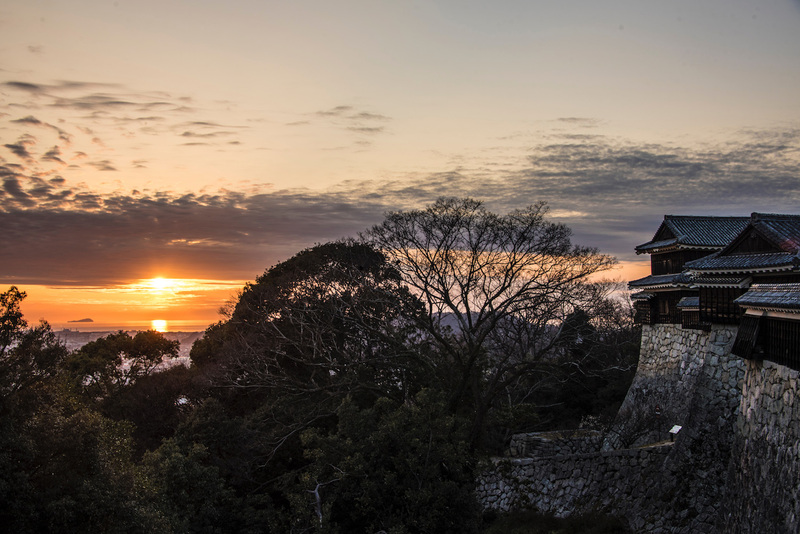 With two weeks in Japan, you’ll have time for a day trip from Kyoto to Nara (deer and ancient wooden structures), Osaka (street food and quirky urban landscapes) or Himeji (Japan’s most picturesque castle). Unless you plan to cut out one of the other destinations I discuss in this post, you unfortunately won’t have a chance to visit all three, which might (sadly) prevent you from comparing Tokyo vs Osaka. If you have only one week in Japan, on the other hand, you might not be able to see any of them. 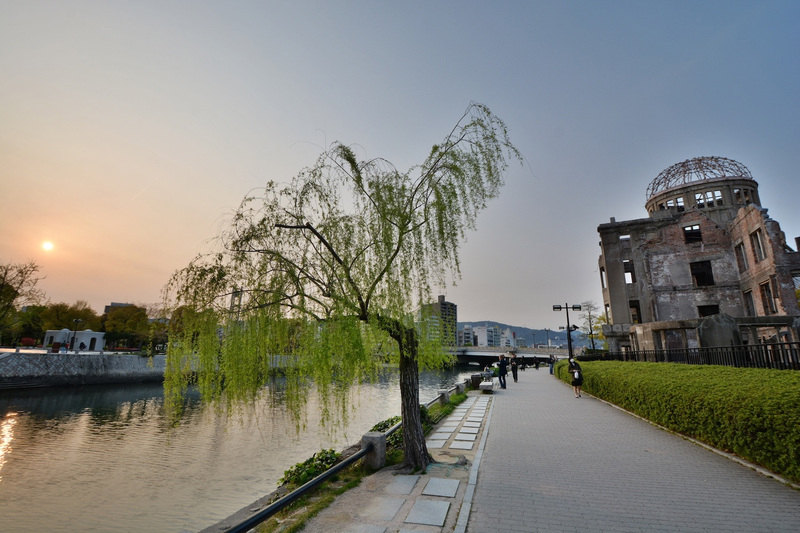 Hiroshima Peace Park is necessary stop on any Japan trip, be it two weeks in Japan, 1 week in Japan or otherwise. With this being said, I find Hiroshima’s city-proper somewhat underwhelming, even if its streetcars are charming and its okonomiyaki pancakes are delicious. For my money, the biggest draw of spending 2-3 days in the Hiroshima area after you finish up in Tokyo and Kyoto is Miyajima Island and its floating torii gate. Alternatively, follow up Tokyo and Kyoto with 2-3 days in the underrated Tohoku region in Japan’s northeast. Spend a day exploring Aomori City and nearby Hirosaki Castle, whose moat fills with sakura petals in late spring. 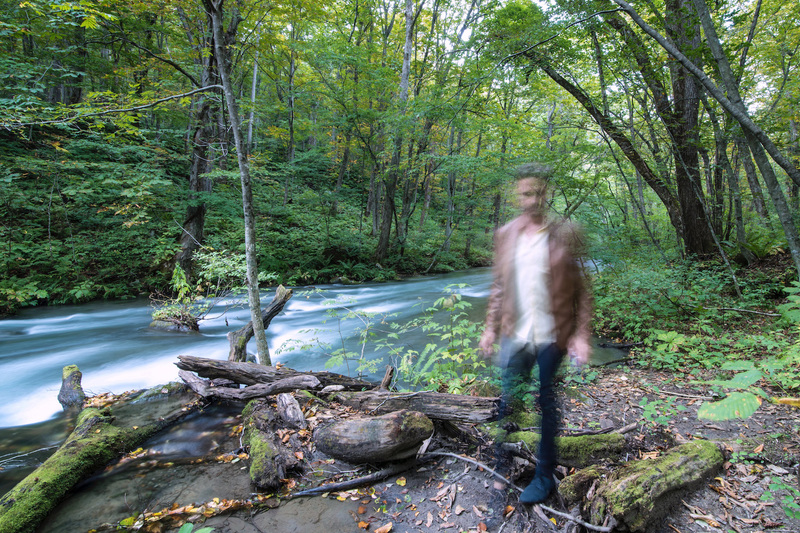 In winter travel to Yamagata prefecture, sleeping at top-rated hot spring Zao Onsen to walk amid its so-called “snow monsters” and visit nearby Zao Fox Village. These options are particularly alluring (and slow in especially well) when Japan 3 weeks trips (or longer) are on the table. You’ll likewise need to pick and choose which Japanese island (besides Honshu) you plan to visit during your two weeks in Japan. 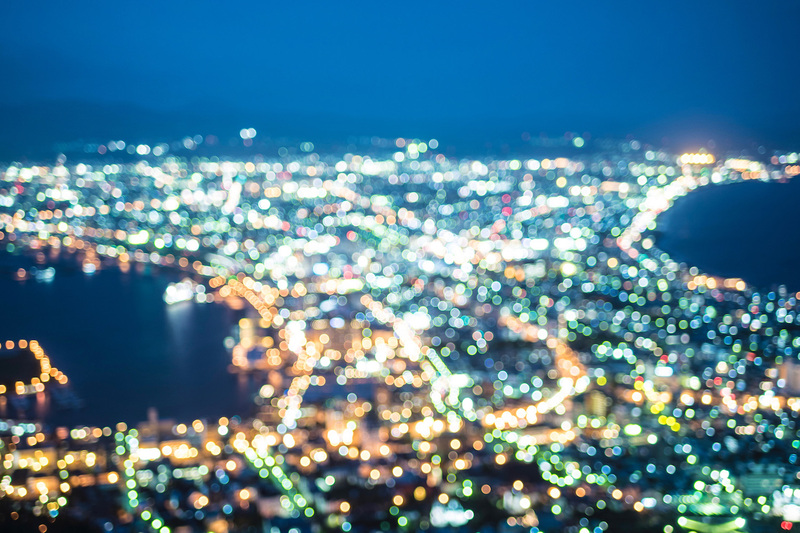 If you head to Hiroshima as described above, spend 3-4 days in either Kyushu or Shihoku. 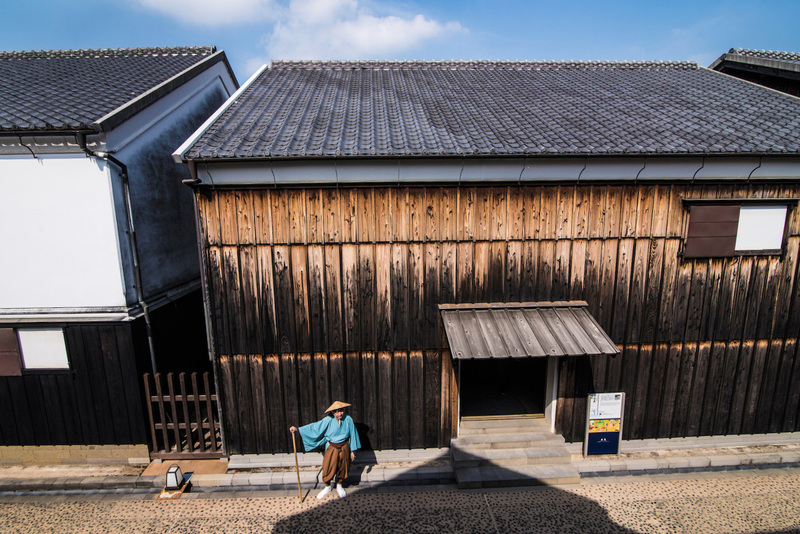 Things to do in Kyushu include scenic Nanzo-in Temple, emotional Nagasaki and picturesque Kumamoto Castle, while Shikoku sightseeing blends pristine nature and perfect cities, and is perhaps my favorite part of any Japan two weeks itinerary. From Tohoku, ride the Hokkaido Shinkansen to Hakodate, home to a morning market, extensive colonial architecture and Japan’s most famous night view. In winter, head further north to Sapporo to experience its iconic snow festival, the icicle-lined canals of Otaru and world-famous Hokkaido skiing; in summer, experience Hokkaido’s colorful wildflowers—the lavender of Furano is a particularly stunning addition to your two week Japan itinerary. Make sure your trip runs smoothly and affordably—order your two week Japan Rail Pass before you depart. This will enable you to ride the Shinkansen between major cities, and make use of JR trains, buses and select ferry services within cities. A JR pass doesn’t cover travel on the Tokyo Metro or other urban rail systems, but is still an unbeatable value, whether you spend two weeks in Japan, 3 weeks in Japan or any other length of time. It can help save money for you to stay at some of the best ryokans in Japan, though. Two weeks in Japan isn’t an incredibly long time, but it’s enough to cover the basics of the country. After spending three days each in Tokyo and Kyoto, head either southward for a week in Hiroshima and Kyushu or Shikoku (but not both), or northward for 7-8 days in the Tohoku region and Hokkaido. Travel back to Tokyo to catch your flight home—and come back here to get inspired for your inevitable future trips.